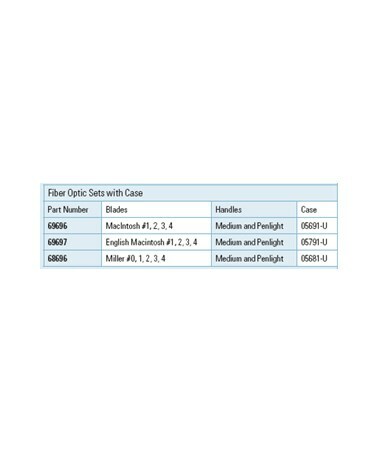 The Fiber Optic Miller Set features a powerful halogen HPX illumination. Light output is nearly three times more than the standard (lamp) set. 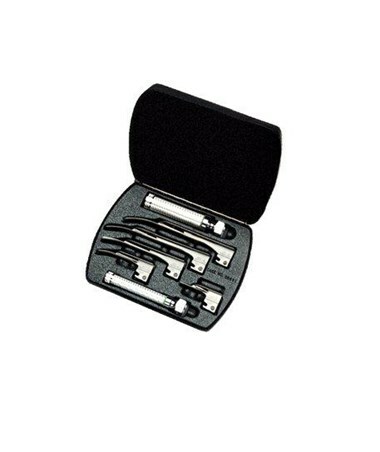 The miller set includes both of Welch Allyn’s €œAA€ and €œC€ cell battery lightweight handles and lightweight blades for maximum maneuverability. 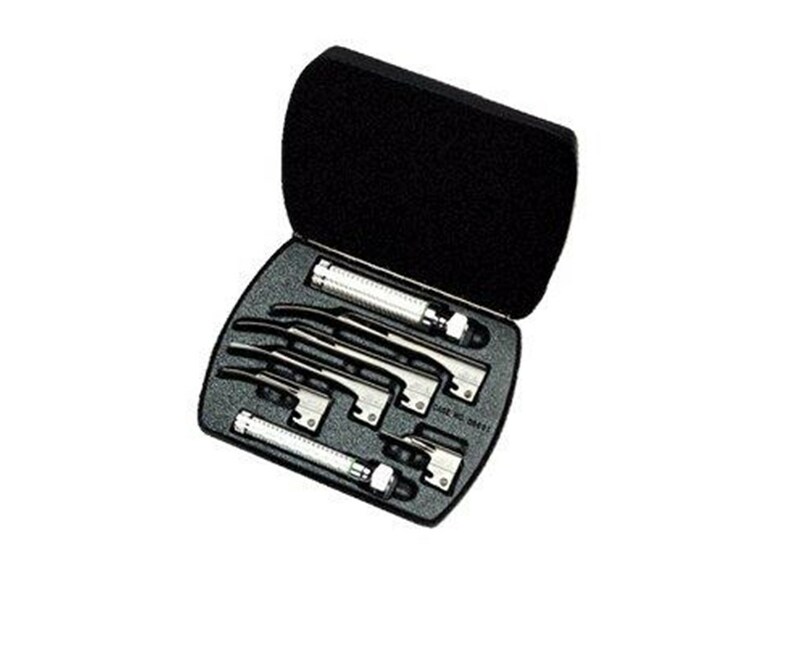 The Miller straight blade features a €œD€ shape cross section which helps prevent dental trauma and allows intubation in patients with small oral openings. The curve begins 2 inches back from the tip for positive lifting action. The blade has a narrow tip for optimum manageability and the base of the blade is rounded to prevent pushing the tongue into the floor of the mouth.